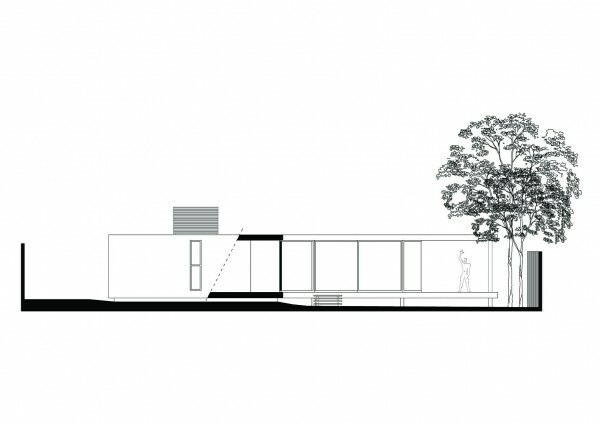 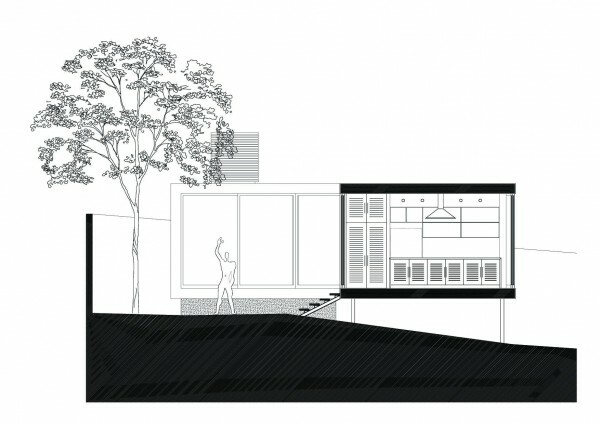 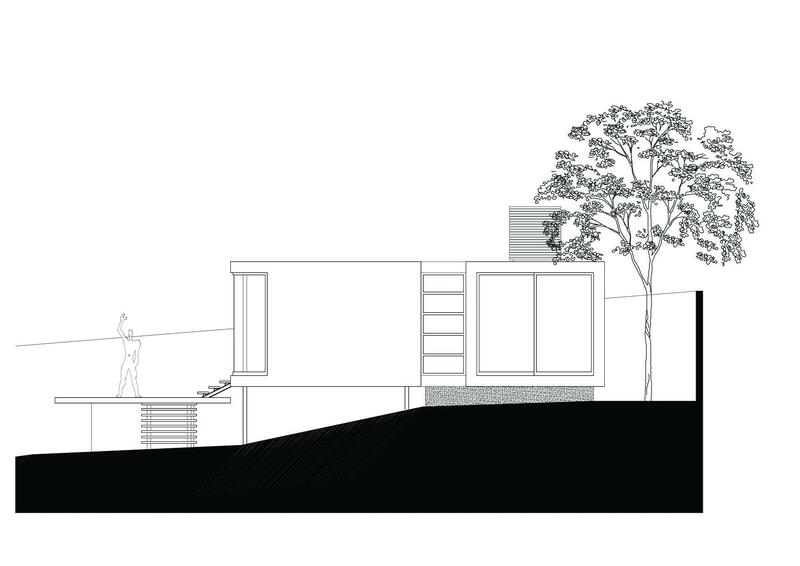 Mies van der Rohe's iconic house in Illinois has been the inspiration for many modern architects. 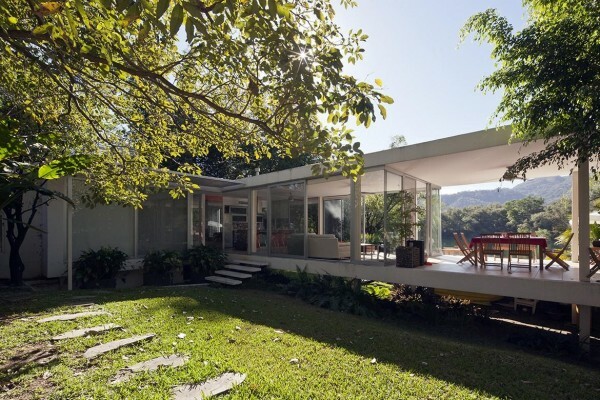 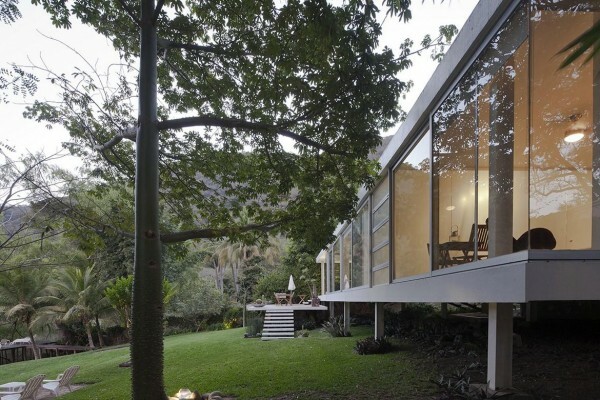 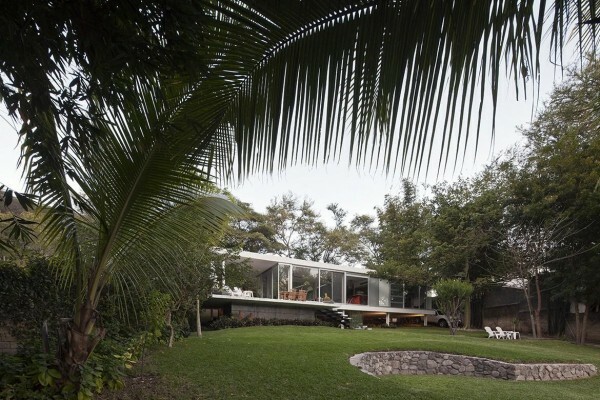 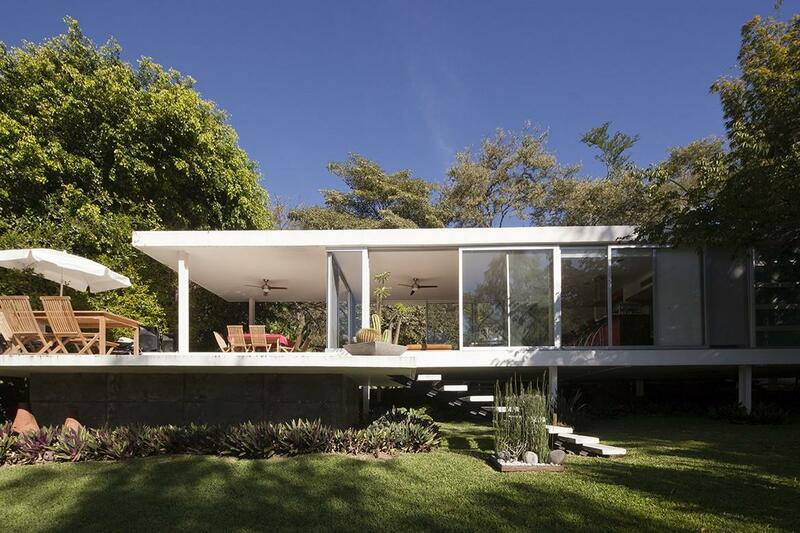 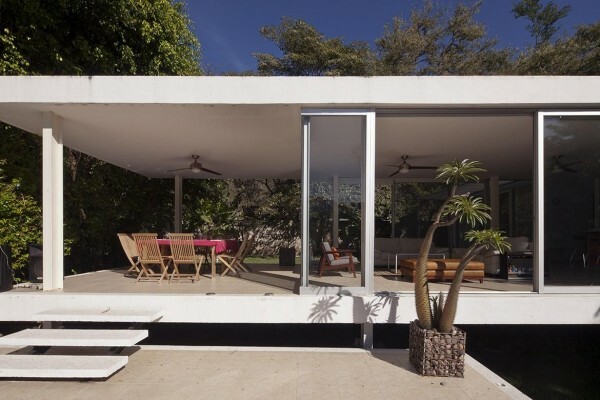 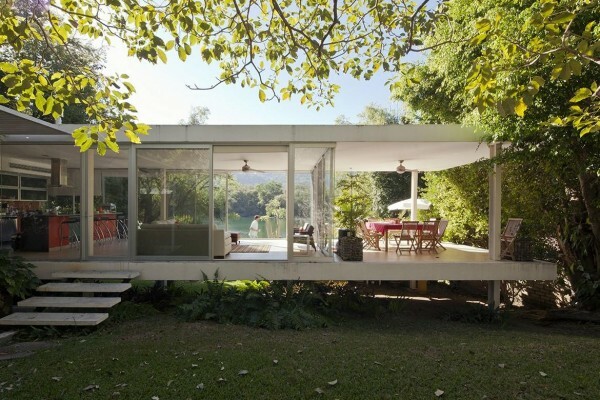 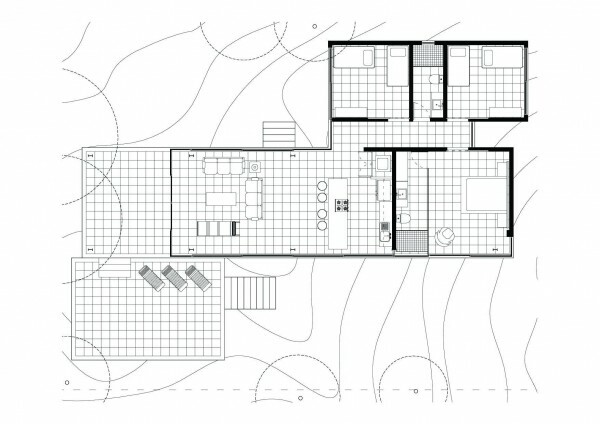 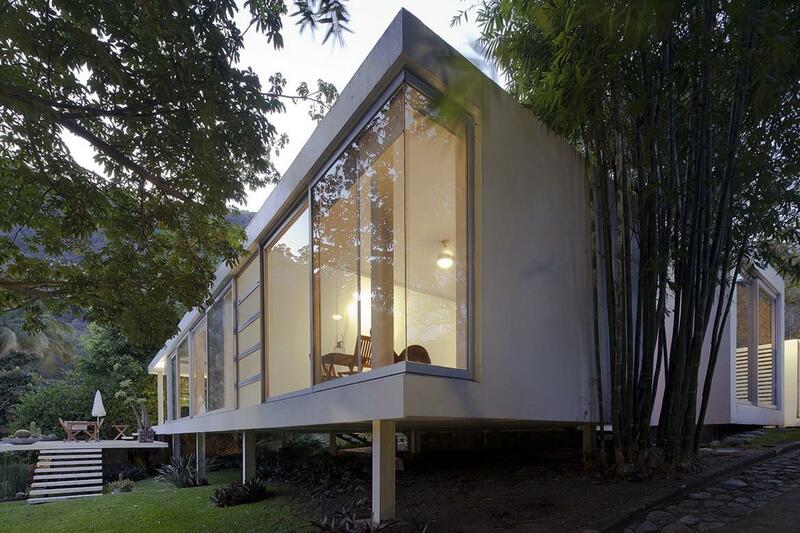 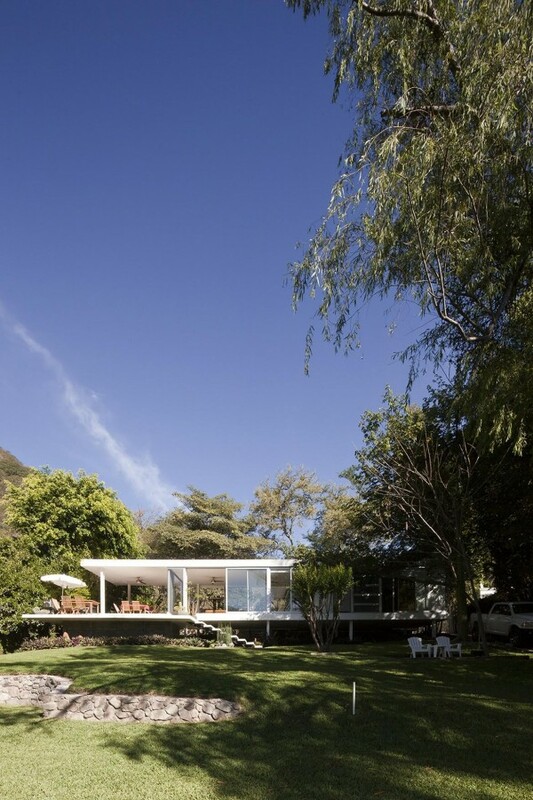 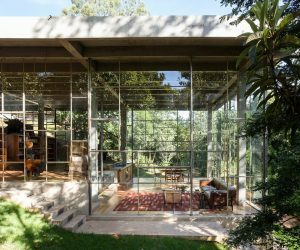 That masterpiece, which was also intended as a vacation home, included walls of glass to look out onto the surrounding nature and ultimate simplicity inside (at least, in the architect's mind it did). While the home featured here may not ever reach the same levels of celebration as that national landmark, its inspiration is unmistakable. 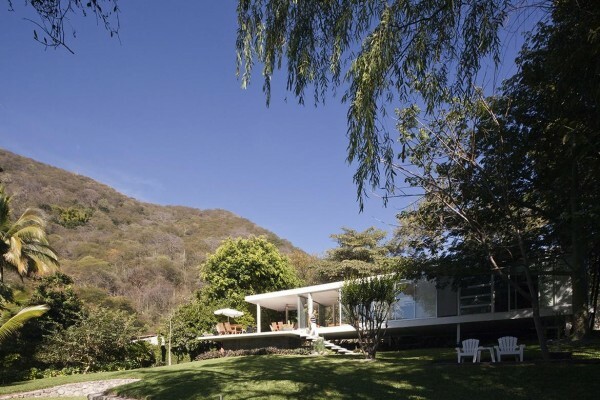 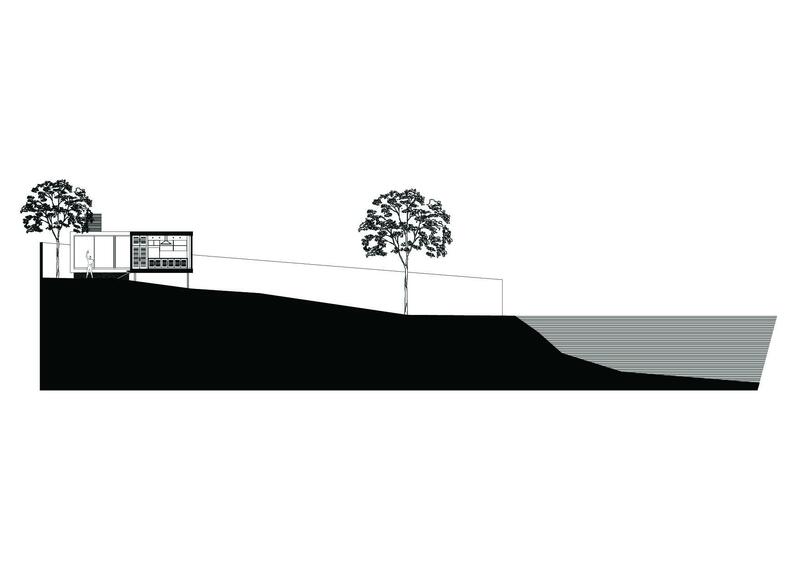 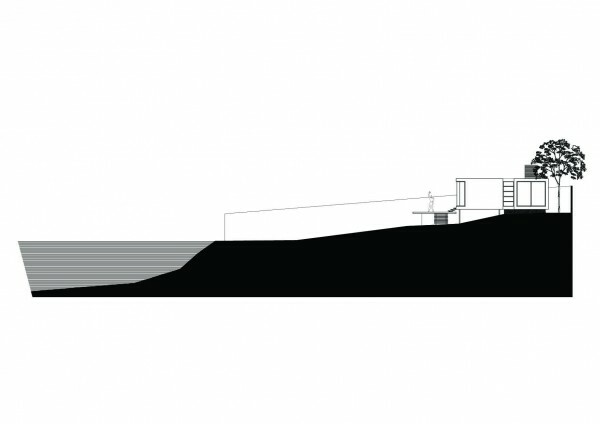 Architects from ATELIER ARS we commissioned to build this vacation home in Santa María del Oro, which edges a lake contained in the crater of a volcano. 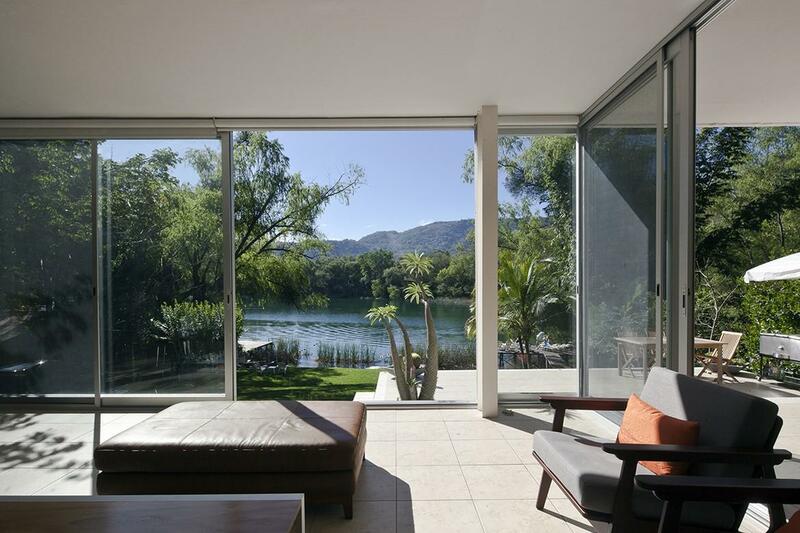 This type of landscape is certainly different from the plains of Illinois but the nature still begs for the same kind of sweeping views and calming design. 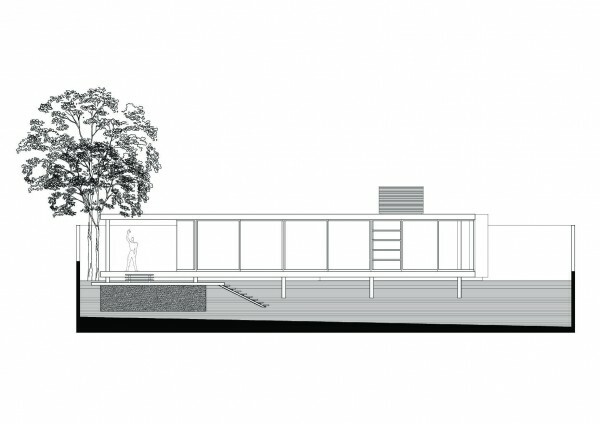 In order to make the home comfortable as well as beautiful, it was constructed with two main areas: one that mimics a more traditional house with solid walls and foundations and another that more closely resembles the Farnsworth aesthetic. 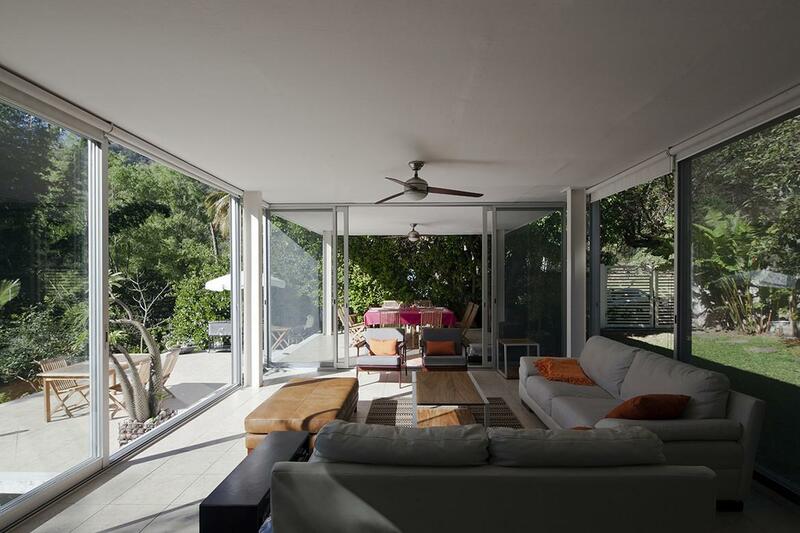 In the front pavilion, an elevated, glass enclosed patio is made of sliding doors that can open for ventilation and columns that keep the building up off the ground and allow water to flow underneath. 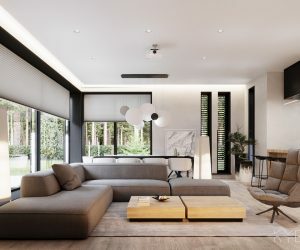 The furnishings in the house may not be as sleek as van der Rohe would have chosen himself, but they appear markedly more comfortable with plush leather sofas and armchairs being ultimately inviting. 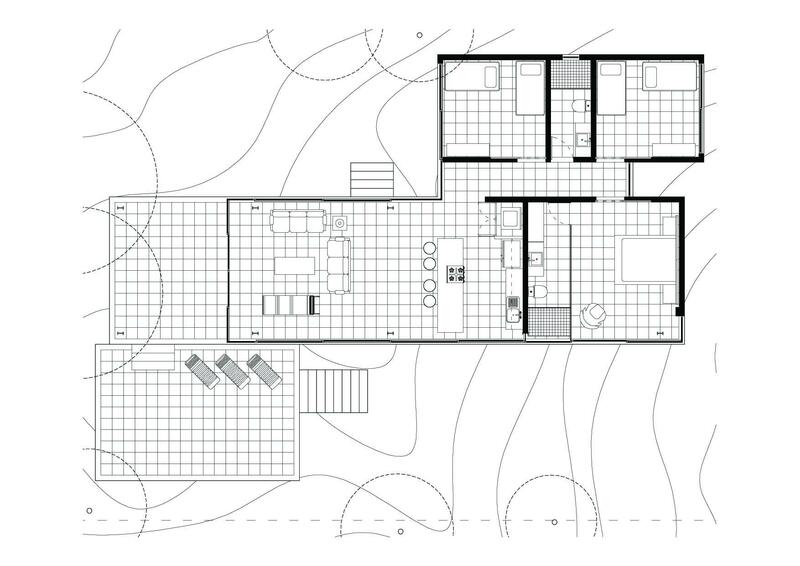 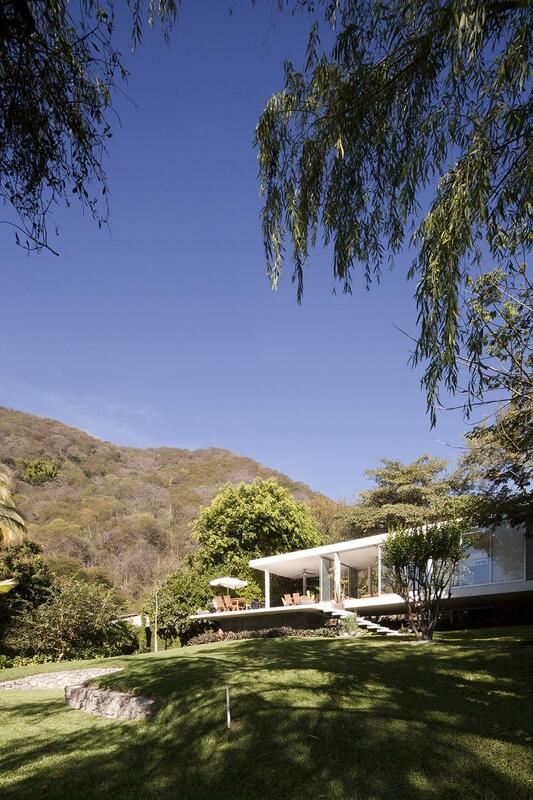 The surrounding landscaping of the house melds with and celebrates the natural landscape. 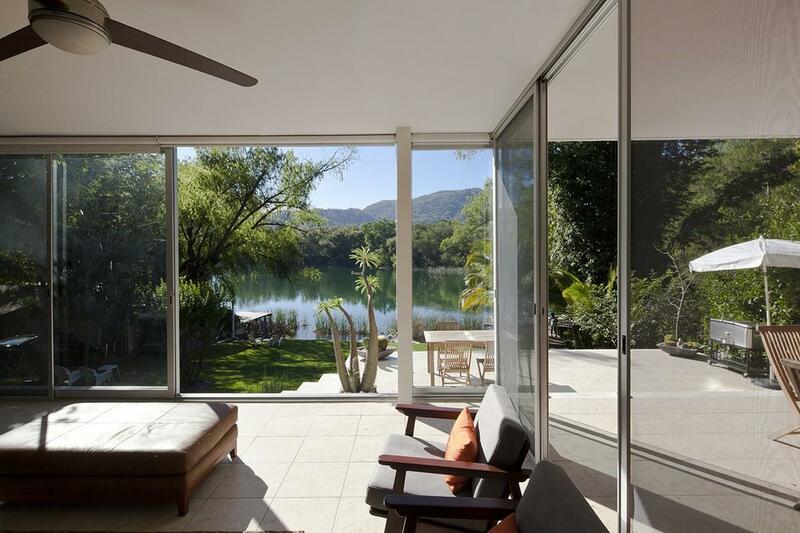 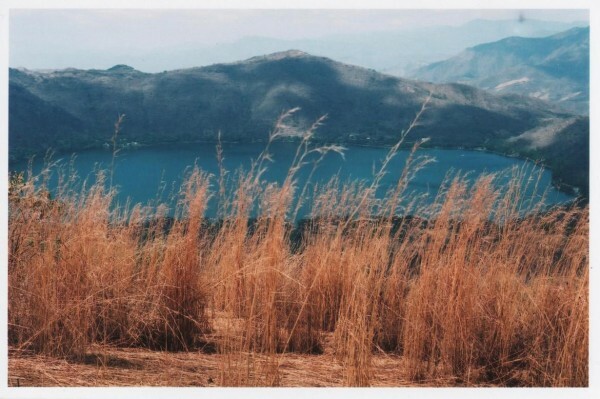 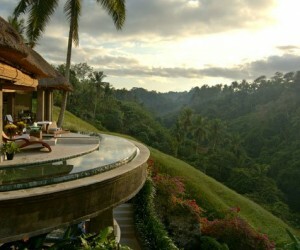 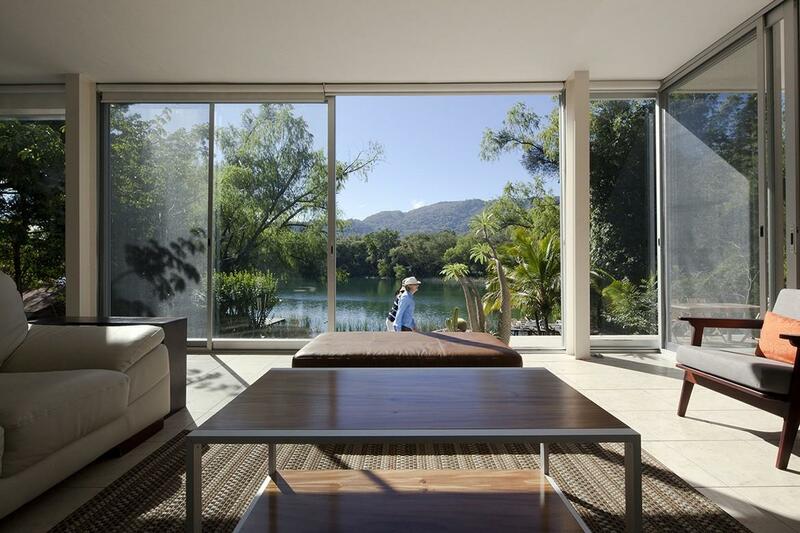 The signature glass walls mean views for miles for hills, trees, and of course that stunning volcano lake. The Farnsworth house is so named for its first occupant, Dr. Edith Farnsworth, who was never satisfied with her purchase. 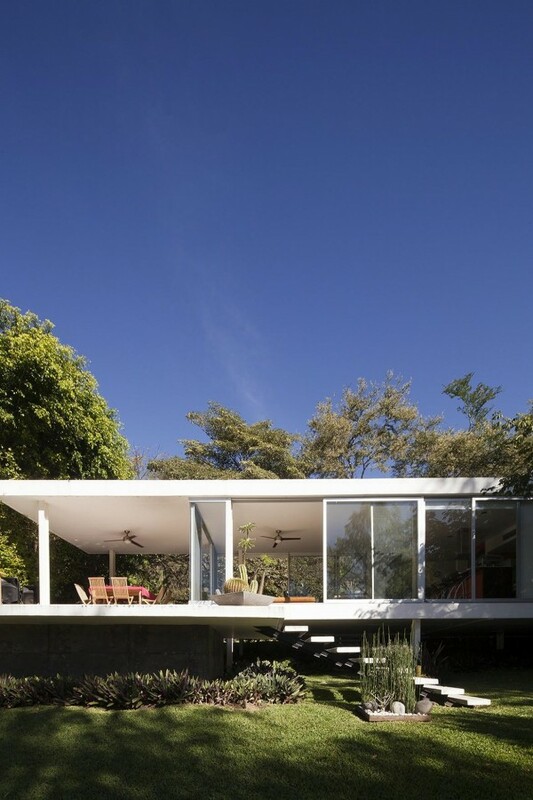 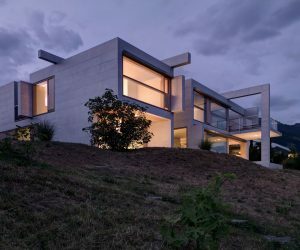 While this updated version of the house, located far south of the original in Mexico, might have caved and added a few walls and even a closet or two, it is clear that the masterful architect who build that house in Illinois is still inspiring tastes and designs around the world.